Mastering Thai cuisine while in Koh Samui. Spice Spoons offers interactive immersions in the local culinary scene. Journey to the market with the chef to select fresh produce and seafood. Back at the resort, pick herbs from the chef's garden for your chosen dishes. 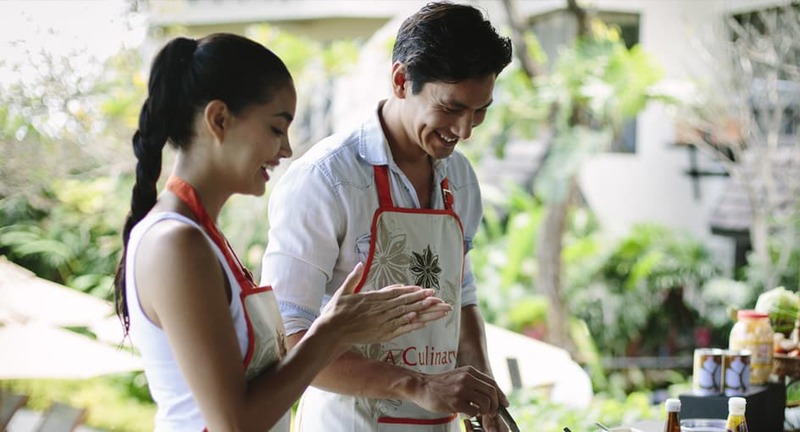 Learn the history behind Thai cuisine, before diving into a step-by-step cooking class. Savour your creations for lunch and return home with new recipes to try out.